Dried orange peels are used in tea blends, liqueurs, savory dishes and desserts. Dried orange peels also have non-cooking uses, such as in a facial scrub. No matter what you're using them for, drying your own orange peels saves on waste. Use organic oranges if possible. 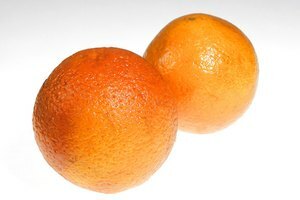 Using organic oranges minimizes the amount of pesticides. Lightly scrub the outside of the orange under running water to clean the peel. For the best dried orange peels, use a zester or vegetable peeler to remove strips and sections of orange peel. If you peel it like a normal orange, the pith (the inner white-ish part of the peel) will remain and give the dried orange peels a bitter taste. The pith isn't bad to eat, so leaving it on is a matter of preference. Once you've cleaned and peeled the oranges, arrange the peel pieces in a single layer on a baking sheet. You may use wax paper on the baking sheet for easy clean-up. Once you've set up the baking sheets of orange peels, dry them at 180 degrees Fahrenheit for about 45 minutes. The peels should be very brittle when they're done. If the initial cooking duration doesn't do the trick, leave them in the oven, checking every five minutes until they're done. Orange peel shrinks as it dries, but break the peels into smaller pieces if necessary once they're done drying. 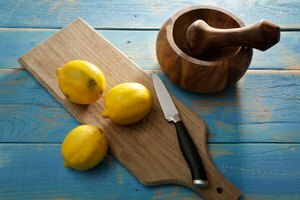 Lemon and lime peels can be dried using this same method, and added to many of the same dishes and products. Store dried orange peel in a jar or container with a tight seal. 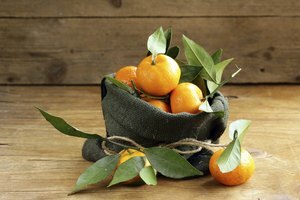 The container should be kept in a cool, dry place such as a cupboard, and the dried orange peels keep for up to a year. If you want the orange peel on hand longer than a year, freeze it in freezer bags and it will keep for up to two years. Mix bits of dried orange peel with black tea or herbal tea for a citrus kick. Use it in homemade liquors and liqueurs. 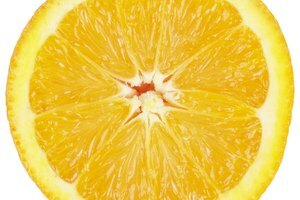 Add a burst of citrus to bath scrubs and salts with a few tablespoons of dried orange peel. Combine it with sea salt for a citrus seasoning for chicken or fish. Add it to a vinaigrette with other herbs to toss on a salad, fresh vegetables or even fresh fruit.